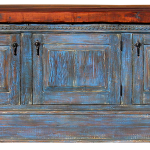 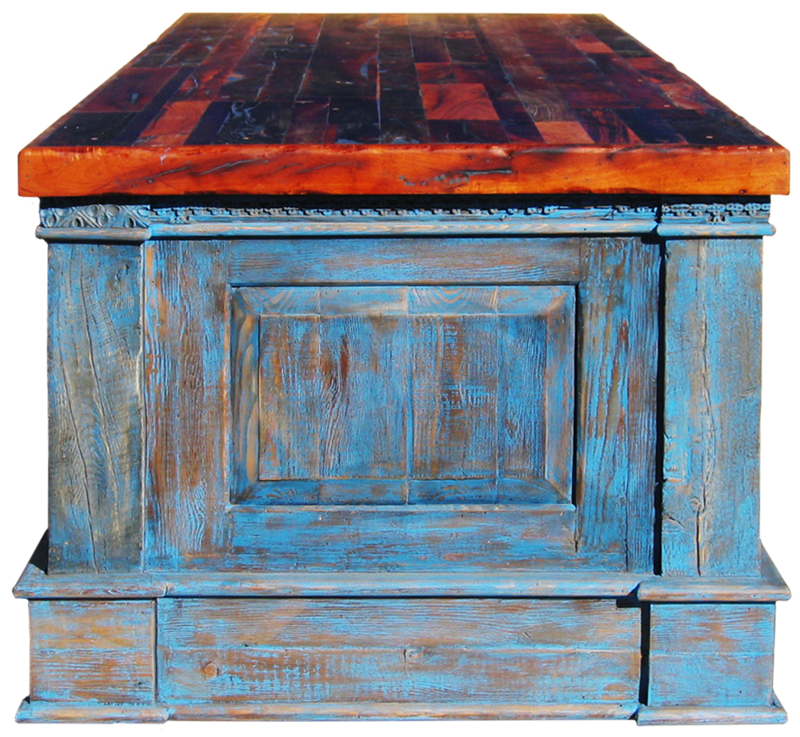 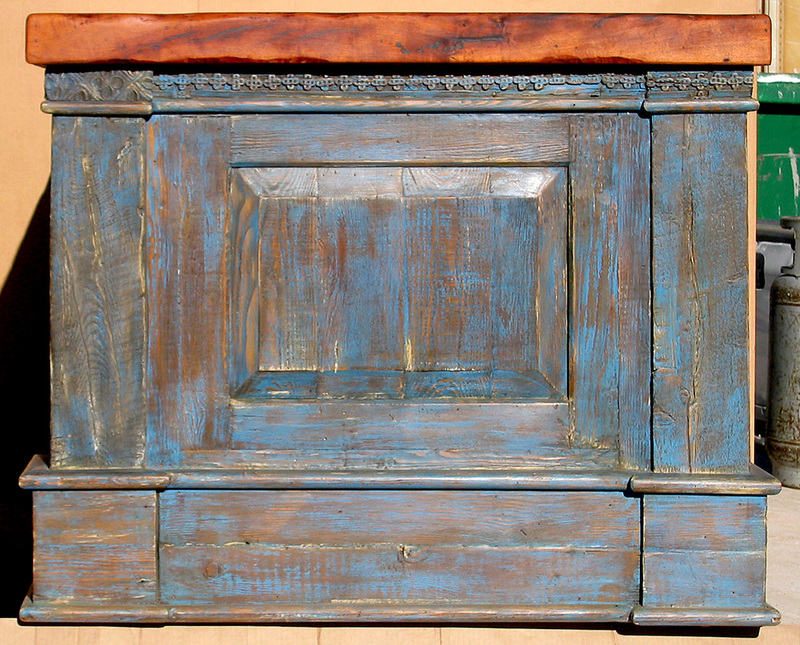 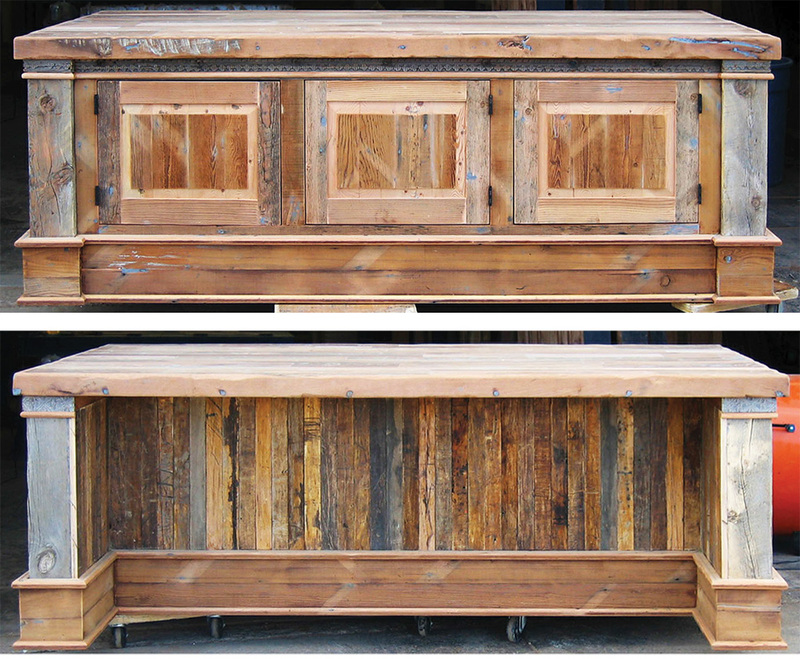 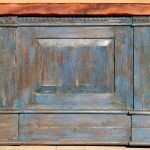 This blue buffet cabinet was made with reclaimed woods is inlaid with antique carved material. 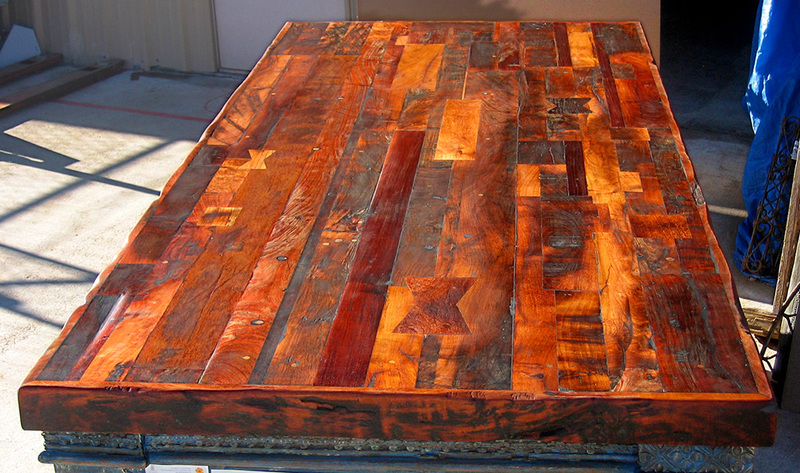 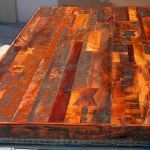 It is topped with solid wood patchwork countertop. 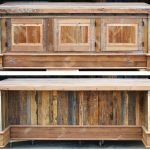 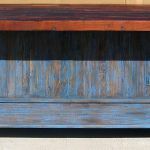 The detail photos show the first rustic natural finish, the final blue finish and detail photos of the gorgeous wood top.